Nyack has been widely recognized for its diverse student and faculty population by U.S. News & World Report and for the past two years by the new Wall Street Journal/Times Higher Education U.S. College Rankings. 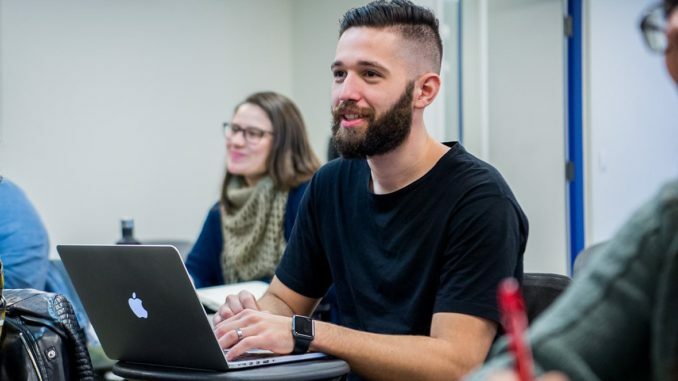 International students like Ricardo Francisco, who hails from Brazil, found a seminary environment perfectly suited to his desire to broaden his worldview. What appeals to him most is that diversity at Alliance Theological Seminary (ATS) gives him an opportunity to gain a theological foundation with the advantage of exposure to the lens of other cultures, including but not exclusively the American culture. Both he and his wife, a physician who practiced pediatrics in Brazil, love living in the U.S. where a very welcoming community has made them feel at home on campus and also in the transition of learning the lay of the land. Stymied by the lack of resources in South America, where best-selling novels are more widely published in Portuguese than textbooks, the opportunity to study in a multicultural setting is preparing Ricardo for his dream of being a church planter in Brazil and in the U.S. He also plans to teach on the college level and will pursue a Ph.D. program after his graduate studies. Ricardo’s academic journey has not been without hurdles, most significantly the language barrier. An assignment to write a 10-page paper in English was the first time he had ever attempted such a task. He credits Nyack’s Writing Center staff with being extremely accommodating. He says, “What helped was meeting people who are so open to help me.” The Center’s staff works on nurturing the confidence and knowledge of grammar and writing for ESL students giving them tools to successfully communicate beyond the classroom. With a nod to faculty and staff at Nyack College and ATS who make themselves available to students, Ricardo mentions Dr. Glen Shellrude, an ATS professor, as a great example of a mentor. Dr. Shellrude has been graciously intentional about acquainting Ricardo with authors and books helpful to his studies and to his development as a leader with spiritual, theological and missional formation. The institutional core value of being globally engaged not only means that Nyack/ATS goes to the nations, but nations come to us. Learn more about what seminary students can expect in Nyack’s graduate program in biblical studies.